Some cavities in children’s teeth are too large or too deep, and a simple filling will no longer be sufficiently effective. In these cases, a children’s crown can be used, which are pre‐made and designed to cover the entire tooth. These crowns can be white or silver and they are pre-manufactured in different sizes and shapes and can be adjusted so they fit perfectly to your child’s tooth. The silver crowns are made of stainless steel and the white of zirconia ceramic. They are sufficiently enduring to typically last for the life of a baby’s (deciduous) tooth. 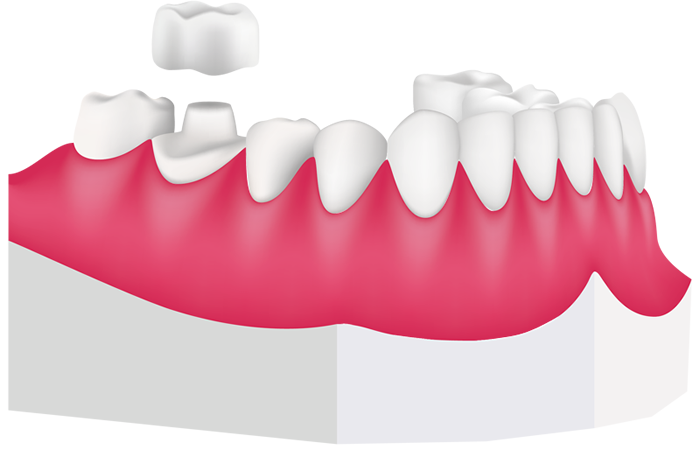 A crown will protect the deciduous tooth and root, until it is naturally lost.